This home used unique doorways that looked nice in the interior. Many of us might not pay much attention to doors but if you try to observe, it has a big impact to the overall look of the house both for the exterior and the interior. We are all aware that doors come in various designs and it depends on the designer on what type they would use that will be perfect for the home and will also be suitable to the look of the entire house. 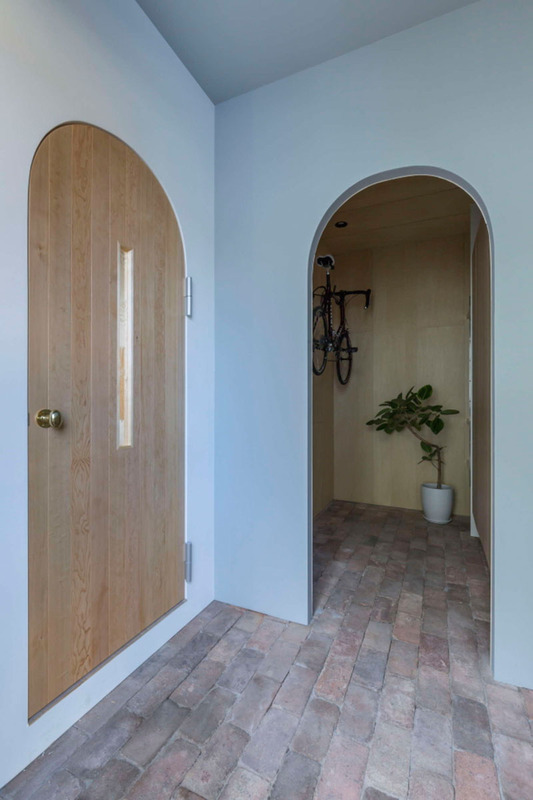 With that, we have here a house that made use of arc doors in its interior and surprisingly, it looks totally nice in the modern set up of the dwelling. 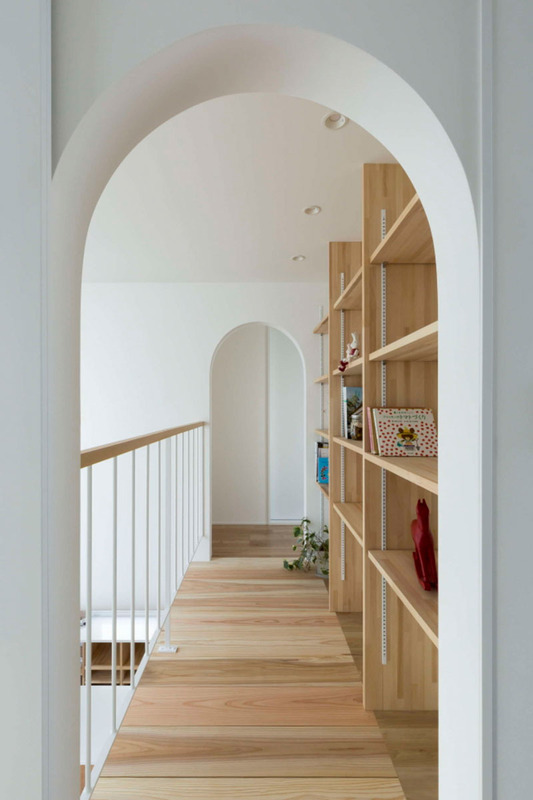 Today, we are going to show you a Japanese home that is filled with arched doorways in the interior. For sure, when you think of arc doors, what come to your mind are classic or traditional homes because this kind of doors is used in it. 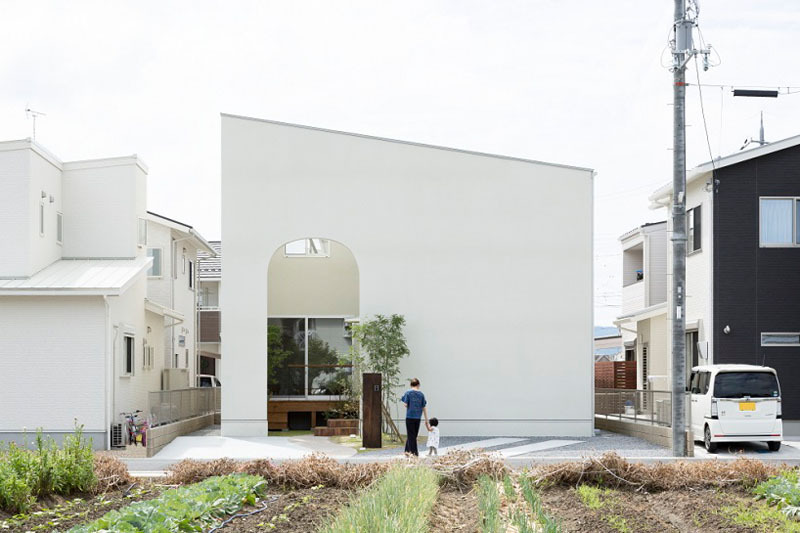 But this house shows us that even modern homes will look amazing with arc doorways. 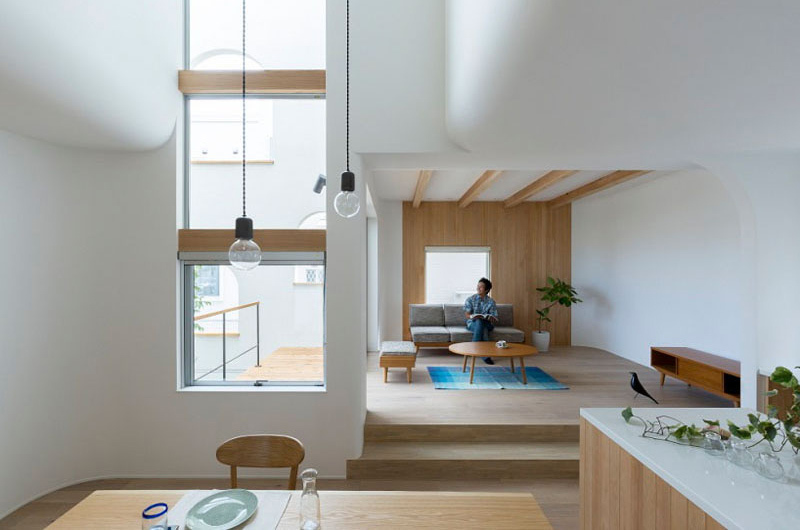 This home in Shiga, Japan is designed by ALTS Design Office that is full of arched doorways, starting with the curved arch on the exterior of the home. Let us take a look at the house below. Unique feature: The dwelling features arched doorways and some windows in its interior of wood and white. 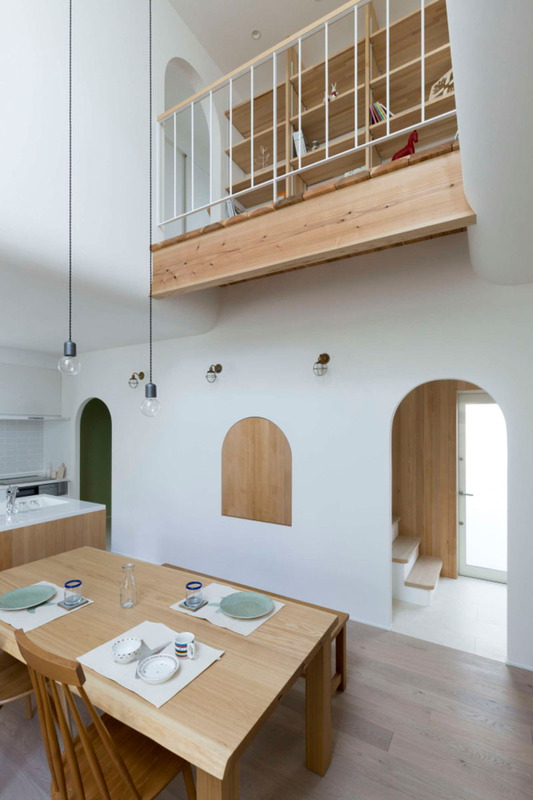 The designers created a neat interior for small Japanese home combining wood and white colors. 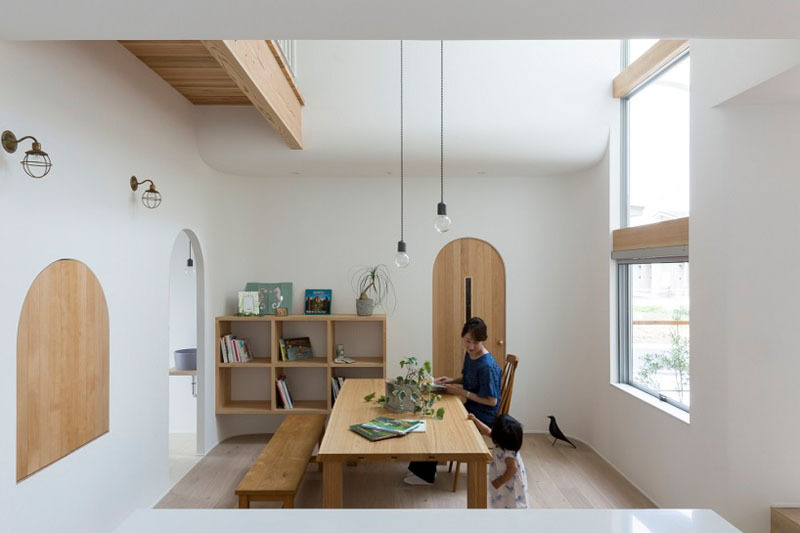 It also features modern minimalist furniture and decors in it which is perfect for a Japanese family who believes in minimalism and simplicity. What welcomes guests to the home is a large arched doorway with a tiny window. Even the facade of the house is very simple too. But despite its simplicity, it does look really lovely! Beside the front door is a space for storing shoes, coats and bikes. You can also see here that it used brick stones for the flooring in this area. And yes, the front door is arc shaped too. 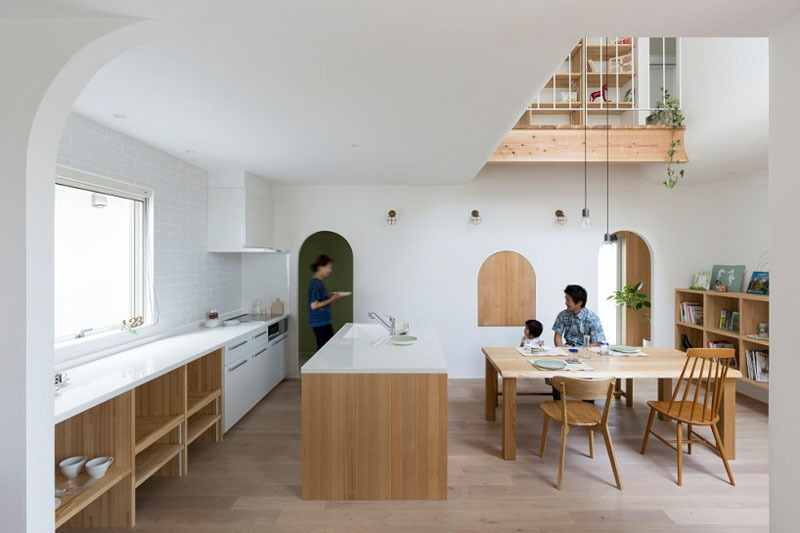 The kitchen and dining room are located on the same level, with a small living room raised slightly to separate it from the rest of the space. Don’t you love this space? I like the curved part of the wall which brings a soft touch to the house. You can also see here a small kitchen island with a sink where the family prepare food and wash dishes. The interior is also filled with natural light since there are windows around it. You can also see here some wooden elements in the interior from the window the furniture. Love that blue area rug under the coffee table that brings a cool appeal to the home. Aside from the wooden dining set, you can also see here the stairs that lead to the upper area of the house. And at the top, it overlooks to the lower level of the interior. You can also see here just a few examples of the arched details found throughout the home. Upstairs, there are more arched doors that lead you to the balcony that overlooks the kitchen and dining area below. In this part, it features a tall shelf where you can see some books and other collections of the owner. 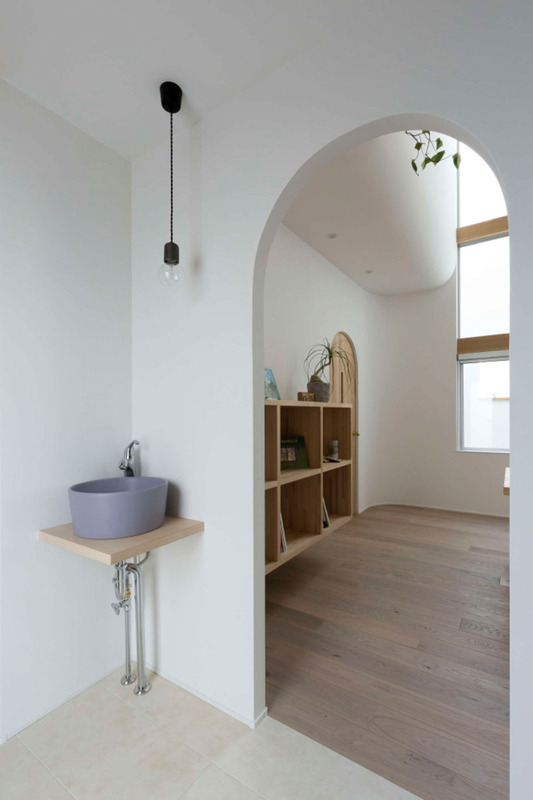 The wood arched doors of the house match with the wood furniture and shelving found throughout the home, keeping the material palette very simple. Notice also that some windows also have arched designs. Having arched doorways throughout the home adds a touch of softness to the interior which has sleek edges everywhere. You can also notice that the doorways are just simple which is just perfect for the look of the entire house. What I love in this space are the white colors of the walls, ceiling and other items. I also like the wooden flooring in here as well as other wooden features in the house. The good thing about how the designers used arc doorways here is its minimal design. You can see that the arc doors do not have any moldings and intricate features of some sort. Instead, it was kept neat to fit to the minimal motif of the house. 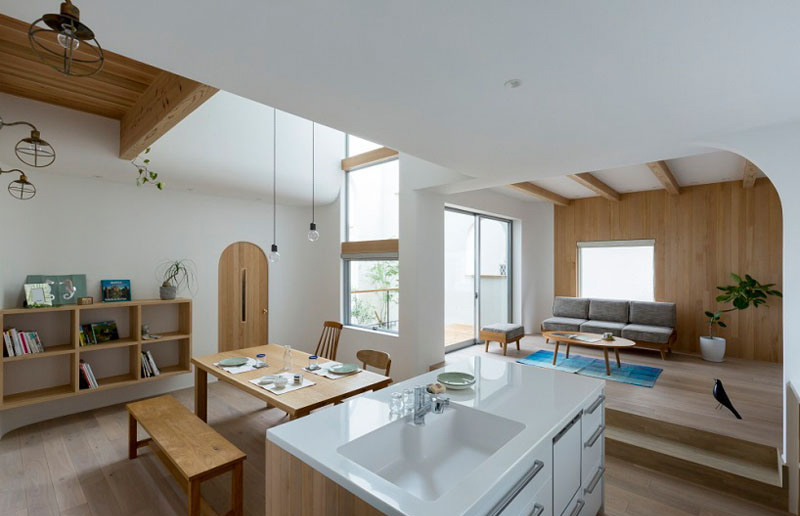 We all know that Japanese homes are minimalists in approach and everything in the house indeed fitted to that theme. This project is a work of ALTS Design Office and it looks really beautiful overall. How about you, what can you say about this home?